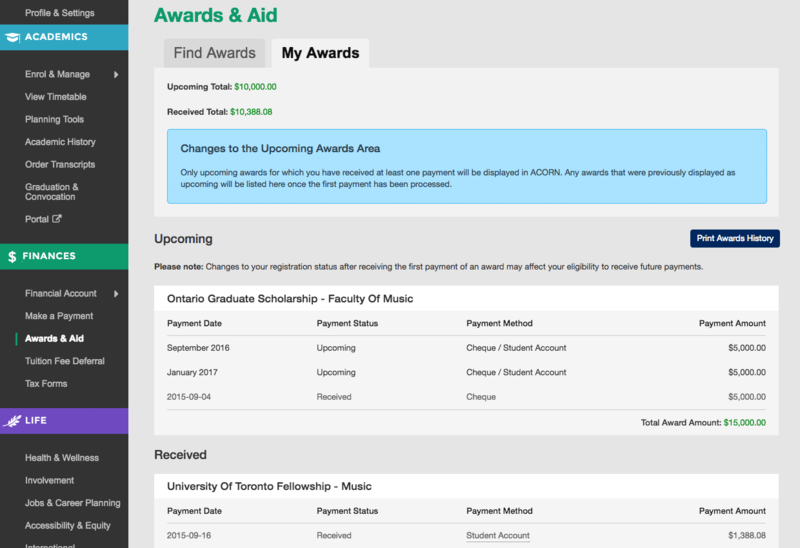 From the ACORN Dashboard, click “Awards & Aid” on the main navigation menu on the left side of the screen. Alternatively, click “View My Awards” on the Dashboard Finances card. You will be taken to the My Awards screen. If you clicked the “Awards & Aid” navigation link, click the “My Awards” Tab towards the top of the screen to get to My Awards. 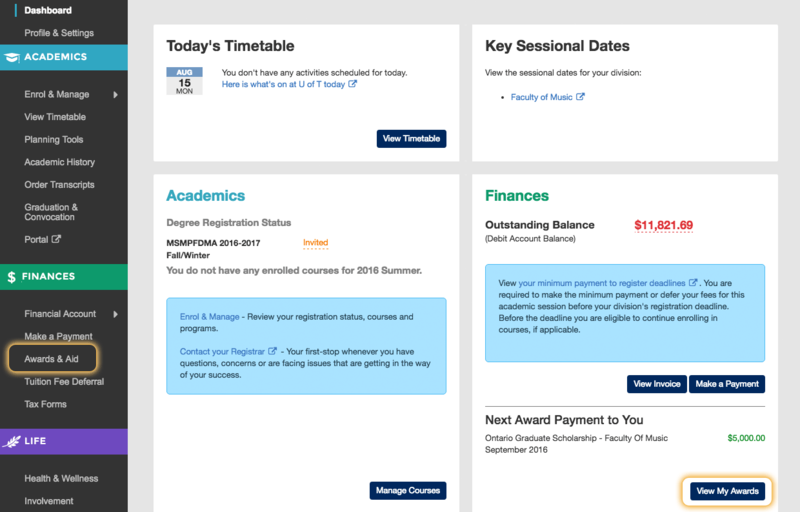 If you have any received awards, you will see individual payments listed on this screen along with details like payment date, payment status, payment method and payment amount. Some awards are disbursed in multiple instalments. If you have an award for which you have received at least one payment, you will see future payments for that award in the “Upcoming” section. Please note that changes to your registration status may affect your eligibility to receive these future payments.